Road rage. Stand your ground. Protecting your house. All of these situations may lead to criminal charges involving aggravated assault and assault with a deadly weapon. If you are facing an assault with a deadly weapon charge in Florida, you may be overwhelmed and intimidated by the seriousness of the crime. The Umansky Law Firm is here to help. We can explain the charges and guide you through the entire process to better understand what you should expect moving forward. Aggravated assault with a deadly weapon is the process of one person trying to harm another person with an explosive device or weapon but without the intent to kill. Aggravated assault with the intent to commit a felony can result in an individual being guilty of a third-degree felony. ”Deadly weapon” is a term that is open to interpretation. It is usually thought of as a gun, knife, or car, but can also include other items that are used in a manner designed to cause injury or death. The use of a deadly weapon enhances the penalties that are applied to aggravated assault cases. The Umansky Law Firm represented a client in Osceola County accused of Aggravated Assault with a Firearm. The minimum mandatory sentence for this alleged offense is 20 years in prison. 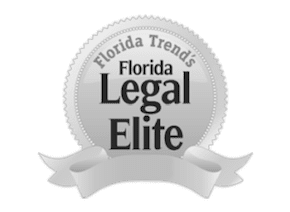 The allegation was that our client shot a firearm towards the alleged victim – therefore Florida’s “10/20/Life” sentencing provisions applied. We contacted the alleged victim, who stated she did not want to prosecute. We prepared an affidavit from the alleged victim to the prosecutor stating her desire to have the charges dropped. On the day of trial, we were successful in getting the charges dropped against our client after the prosecutor dismissed the charges! In the state of Florida, the courts require mandatory minimum sentencing whenever a deadly weapon is used for specific crimes, such as assault. In Florida, it is a punishable offense to simply possess a firearm or deadly weapon when you’re involved in a crime. A “deadly weapon” generally refers to anything that is designed, modified, or made for the specific purpose of inflicting serious harm or death. Assault with firearm/deadly weapon: Minimum 3 years prison. Battery with firearm/deadly weapon: Minimum 10 years prison. Assault or Battery with Semi-Auto weapon or machine gun: Minimum 15 years prison. Minimum 25 years imprisonment if discharge resulted in death or great bodily harm. If you are arrested for aggravated assault, get the help of a lawyer as soon as possible. Aggravated assault or assault with a firearm in Florida is a serious offense. Without an experienced law firm, you could end up with a fast-talking attorney who promises the world but doesn’t deliver. If you don’t do your research when looking for an attorney, you won’t know you made the wrong choice until it’s too late. Far too often we hear stories of clients who were promised their charges would be dropped but neglected to verify if the attorney was highly reviewed by former clients or even experienced in handling their type of case. As a result, clients are cornered into taking a plea deal at the last minute because they were told it was their only option. At that point, it’s usually too late hire a better attorney. Why Choose The Umansky Law Firm? Our team will gather the police reports and eyewitnesses to the altercation, and take statements from anyone who was at the scene at the time. Our attorneys will work on setting bail and having the individual released on his or her own recognizance. We will fight the charges and argue to have the charges lessened or even dropped. If your case requires psychologists, DNA experts, or private investigators, our team will hire them in order to put forth a solid defense. If you have been charged with aggravated assault in Florida, we can raise defenses such as conditional threat and unreasonable fear defenses. The conditional threat is a statement saying that the violent threat was vague with no time established. This would not constitute an aggravated assault but the individual may be charged with a lesser crime of disorderly conduct. The unreasonable fear defense is when the accuser has lied about really being in fear of harm by the defendant but claims fear because of pettiness. The assault charge would be ruled unreasonable for the defendant. Our Orlando assault and battery attorneys understand the emotions that are involved when you are charged with aggravated assault with a deadly weapon in Orlando, Florida. We will prepare the best defense that is custom tailored to your case and that suits your needs and goals. Many times the cases are settled before they go to trial. If the case goes to trial, the Umansky Law Firm attorneys are well-accomplished at defending their clients in the courts. We have tried hundreds of cases in Florida courtrooms and have even been featured or quoted on numerous national media outlets and affiliates, including The Wall Street Journal, USA Today, Newsweek, NBC, CBS, FOX and more. To speak with our firm about your aggravated assault with a deadly weapon charge in Orlando, Florida, contact us online or call 407-228-3838.